Aidan was born and raised in Oberlin, Ohio. In his late teens he became interested in meditation and Buddhism. 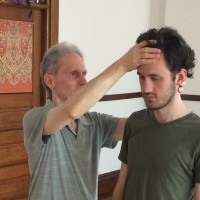 As a result, Aidan has spent many periods of time on retreat in the Vipassana tradition of the Insight Meditation Society, where he was a cook and yogi for 2 years. Aidan was a student of Naropa University in Boulder, CO, where he studied in the Shambhala tradition with Acharya Judith Simmer-Brown. He later studied Soto Zen in the tradition of Uchiyama Roshi, with the Rev. Eishin Ikeda at the Pioneer Valley Zendo in Charlemont, MA where he received initiation (Jukai). Aidan also plays the accordion and likes baseball. Audrey has been practicing yoga for thirty years and teaching since 2001. She trained at the Integral Yoga Institute in San Francisco, California, and is certified to teach four levels of hatha yoga. Audrey moved home to Oberlin in 2005 and since then has taught many classes to the community: chair yoga at Welcome Nursing Home; gentle/beginning yoga to children for Catholic Charities; gentle-beginning classes at Solaluna; intermediate classes at the Splash Zone; beginning classes at Lakeview Park during the summer months; and has taught at many community fairs and events. Audrey is also an experienced massage therapist, trained and certified at the Diamond Light School of Massage in San Anselmo, California in Swedish/Esalen, chair massage, and lymphatic drainage. She has taken courses at the Acupressure Institute in Berkeley, California in acupressure, foot reflexology, and cranio-sacral treatment. 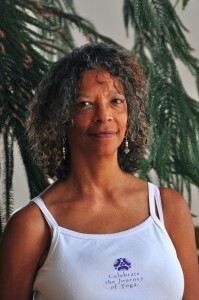 She currently provides chair massage to faculty and staff at Oberlin College. Chelsea has been dedicated yoga teacher since 2008. She believes that knowing our own bodies is one of the most powerful tools we as humans have to affect our lives for the better. Chelsea developed an interest in somatic practices while studying Cello Performance at Oberlin Conservatory and suffering from repetitive strain injuries. She earned degrees in both Music Performance and Psychology from Oberlin. In 2011 Chelsea completed the 500-hr. 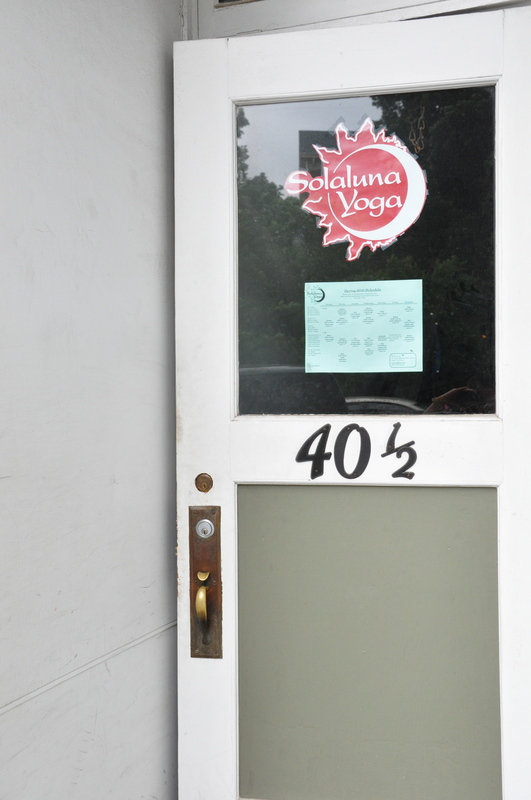 yoga teacher training at Solaluna. The following year, she completed a prenatal yoga teacher training and began teaching classes for pregnant women. 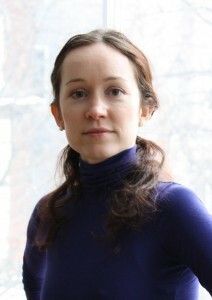 She now lives in Woods Hole, Massachusetts, where she spends her time consulting for Solaluna, teaching yoga, restoring historical windows, playing with her new nephew, creating original craft cocktails, and playing the banjo. Eric is the originator of Simple Yoga, which is a method for people who feel the effects of living in a culture that often disrupts awareness and understanding of the body. Simple Yoga is for people who want to live with an informed, empowered, compassionate sense of embodiment. Eric is the co-owner of Solaluna, teaches at Oberlin College and is registered as a teacher trainer with the Yoga Alliance (ERT-500). He has taught yoga in the US and around the world for more than a decade and is appreciated for instruction that provides people with a clear, comprehensive understanding of the practice. Eric is skilled at offering a balance of space and structure, which allows students to locate their own resources, to become self-motivated in learning. This approach creates a yoga that is equally nourishing and challenging. 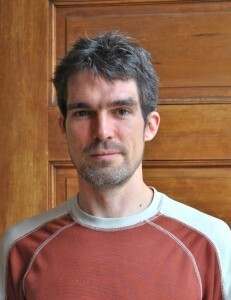 Over the past two decades, Eric has explored the relationship of yoga with the Buddhist practice of metta (lovingkindness), with somatic and manual therapies—in particular, the Alexander Technique, the School for Body-Mind Centering, Craniosacral Therapy and Visceral Manipulation—and with systems of ecological design such as Permaculture. From these diverse influences, he has synthesized common, unifying elements to create a vibrant, innovative and accessible method of yoga. 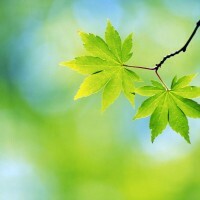 It is an approach that seeks the heart of the matter; that gets to the root of the practice. 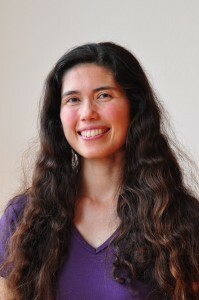 Nikki has been an advocate of a holistic and healthy lifestyle for over 8 years. She is a Licensed Physical Therapist, Registered Yoga Teacher with the Yoga Alliance, and a Certified Strength Training Specialist through IWA. Combining scientific knowledge and training in alternative healing modalities, she has shared a holistic approach to health with people of all ages and abilities. She has taught yoga classes for teenage girls at Magnificat High School and has developed a special therapeutic yoga group for children with Autism at Fisher Titus Medical Center. In addition to being a partner at Solaluna, she teaches yoga in Norwalk and Berea and through the Lorain Public Library System. 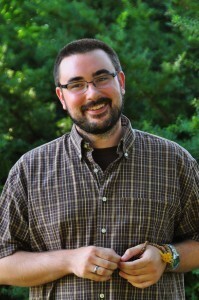 Rob is a Colorado native, musician, poet, artist, fitness junkie, and explorer of Celtic wisdom traditions. He has been a certified instructor through Yoga Alliance since 2006 and has instruction certifications in Mat Pilates and Kettle Bell since 2009. He attended Naropa Institute for a number of years. Rob is always walking through various learning transformations with yoga practices, such as Anusara, Forrest, Jivamukti, and Shadow Yoga. 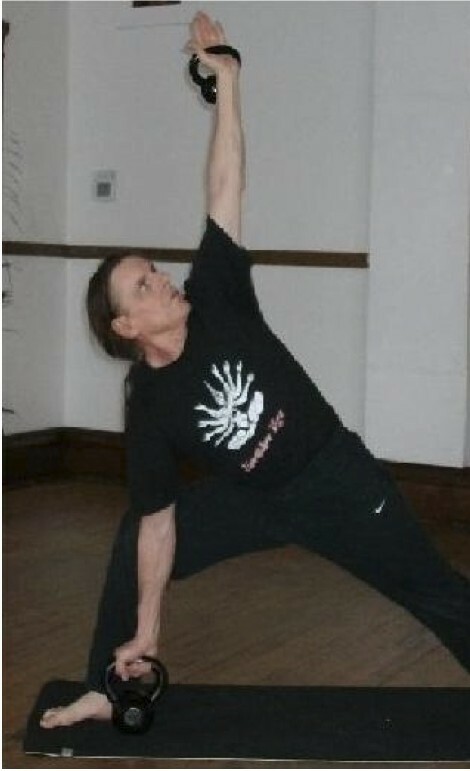 Rob created the “Principles of Earth Lore Yoga,” based on the principles of Stonehenge because its history, legends, and architectural design center around strong foundations, core, and balance. It important to him to be very supportive, having each person to come away from class with a positive experience in the total mind and body workout. For the past few years he has focused on specialty classes such as Animal Guide Power Vinyasa, Blind Folded Yoga, Pilates Fusion, and Iron Bar Yoga. In 2012, he created Iron Clad Salutations (Kettle Bell Yoga) for the ultimate Power Yoga experience. To see a video, click here. 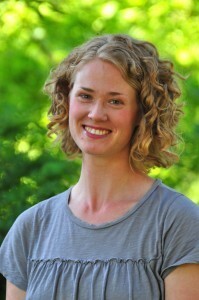 Samantha has practiced the Feldenkrais Method® of somatic education for eighteen years. In her career as a professional ballet dancer with Miami City Ballet, studying Feldenkrais® not only sped up her injury recovery, it also improved her technique, artistry, and coordination. Since graduating from a four-year, intensive training at the Feldenkrais Institute of New York in 2001, Samantha has been a Guild Certified Feldenkrais Practitioner®. She works with private students with a range of movement issues, including babies with developmental delays, artists seeking new creative paths, and the elderly in chronic pain. She has taught workshops for students\’ special interests such as long-distance running and walking in high heels, and she lectured for general interests at Cleveland State and Oberlin College. She is currently teaching weekly Awareness Through Movement® lessons at the Cleveland Institute of Music, Solaluna Yoga in Oberlin, and the Yoga Room in Cleveland.